To know me is to know that I flunked coloring in Kindergarten! Now, I’m much older and I’m trying again! Hopefully, I’ll get better at coloring and of course sometimes staying in the lines. These cuties are made with FunStampersJourney products with the exception of the giant paper clips and E6000 industrial Adhesive (clear). 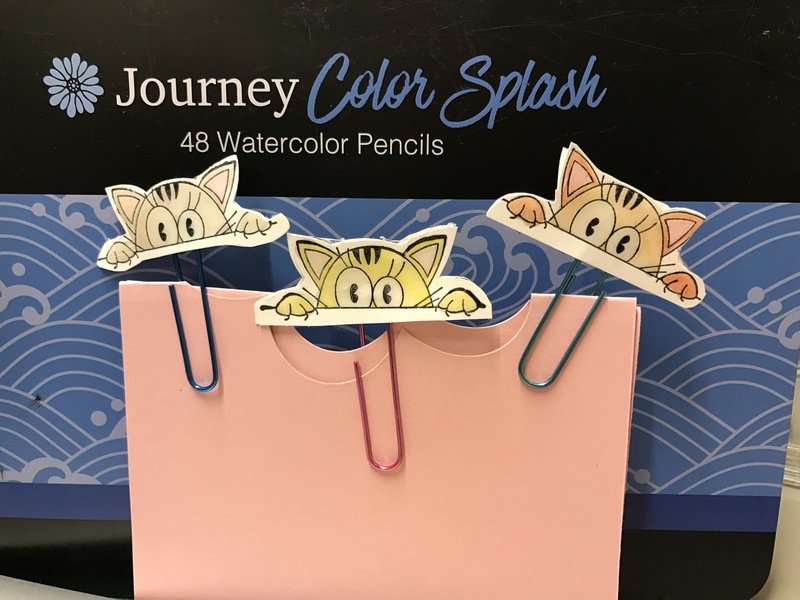 I stamped 2 images per clip, colored with my pencils,temporarily taped them together with just a bit of removable tape matching the images as close as I could , then fussy cut them out. Glued them together with the industrial glue with the paper clip in the middle and let dry thoroughly. Puddle glazed the entire image on each side allowing the individual side to dry before turning over to Glaze the 2nd side.